Predictive Analytics and Modeling helps organizations transform their decision making from hindsight to foresight. 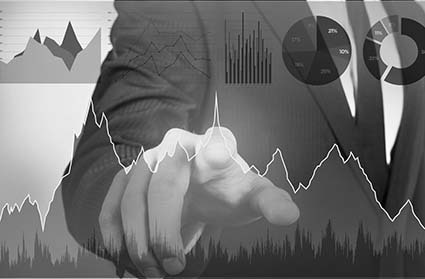 Market Equations India combines proven expertise in predictive analytics and modeling across industry verticals to helps our customers maintain a competitive advantage and come out a winner. Our Predictive Analytics and Modeling services help you drill deep into customer data to predict and alienate high risk customers from profitable ones, predict customer behavior – what they want and when, predict their spending power, predict when they are going to leave and maximize customer life time value and profitability. Our Predictive Analytics and Modeling Outsourcing services help marketers optimize their marketing programs and identify revenue opportunities, increase response rates, customize and personalize cross sell and up sell offers, identify and target the most profitable customers, reduces wastage by keeping out high risk customers, save time and cost otherwise wasted on ineffective communication, predict customer life time value and profitability while building better long term customer relationships. Predictive Analytics and Modeling helps you make risk informed decisions, predict risk and fraud before they happen by identifying risky behavior, increase recovery by making the best offers, minimize bad debts and maximize financial performance and profitability. Predictive Analytics and Modeling helps you accurately forecast demand, plan inventory and stock replenishment, apply the best sourcing and procurement strategies, optimize transportation and logistics to meet customer demands at the right time, optimize cash flow, reduce costs by lowering safety stock levels and maximize profitability. Outsourcing Predictive Analytics and Modeling helps you manage, monitor and drive enterprise wide operational excellence from Manufacturing to Human Resources and helps you streamline business processes efficiently and effectively based on changing business dynamics. Predictive Analytics and Modeling helps organizations transform their decision making from hindsight to foresight. Market Equations India combines proven expertise in predictive analytics and predictive modeling across industry verticals to helps our customers maintain a competitive advantage and come out a winner. Predictive analytics involves the application of a variety of statistical modeling, data mining, and machine learning techniques that assist in making better predictions about the future.